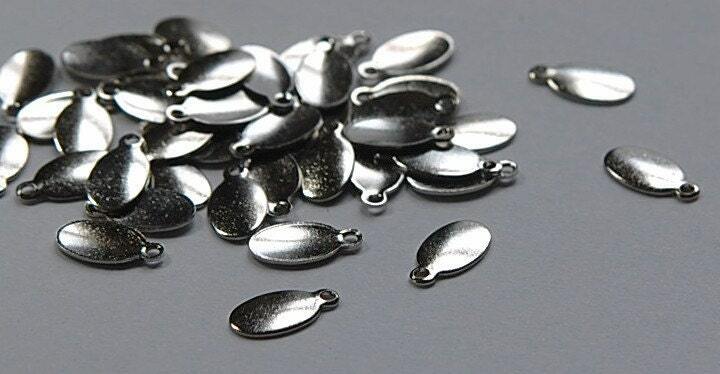 These are silver plated brass flat oval tags. They have 1 loop. These measure 11mm long with the loop X 6mm wide. You will receive 16 pieces. Great little tag. Exactly what I was looking for. Lightning fast shipping and such and awesome selection !!! Perfect for my projects! Quick shipping, just as described. Thanks! Thanks Beth! fast delivery as always!